RunGo — Running routes with turn-by-turn voice directions. — Watch Out for RunGo! As you know by now, RunGo is the first running app that solves the challenge of getting directions while running. We started with voice directions, much like a driving GPS. About eight months ago we had a chance meet Steve from Pebble (Co-founder and Designer), through the Interface Conference, where Steve and Alicia were speaking. He kindly gave us some Pebble Smartwatches to try. I quickly became sold on the potential of Smartwatches, and now, I wear my Pebble every day. Everyone I know who has tried a Pebble loves them. The conveniences of not having to pull out your phone is really nice, which reminds me of how lazy (or demanding?) we have become. 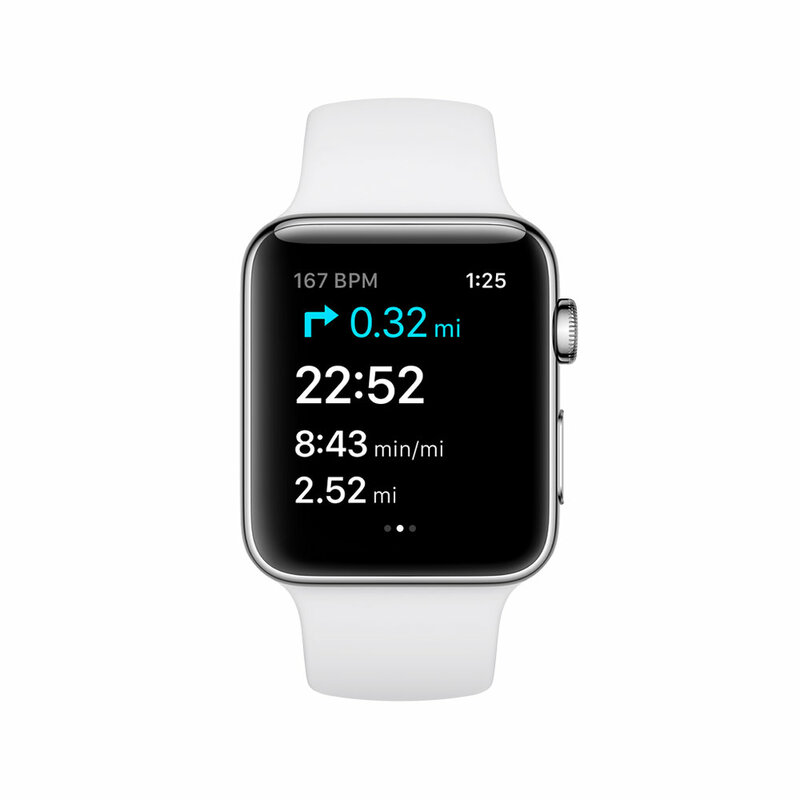 With RunGo we built a companion app so that you can get turn by turn directions, and running stats on your wrist. Since the pebble has a vibration feature we used this to give you haptic feedback on upcoming turns. We use different patterns of vibrations to signify an upcoming turn and the turn directions. This works great for noisy environments or on those times you don’t want to use audio directions. When the Apple Watch was announced, we took what we had learned from the Pebble development and applied our learnings. We optimized the screen for design and used more black pixels to optimize battery usage and readability. And guess what... Just as we're typing this, our Apple Watch has just arrived! Stay tuned for our testing adventures!